Belly Button Designs: The New Look! 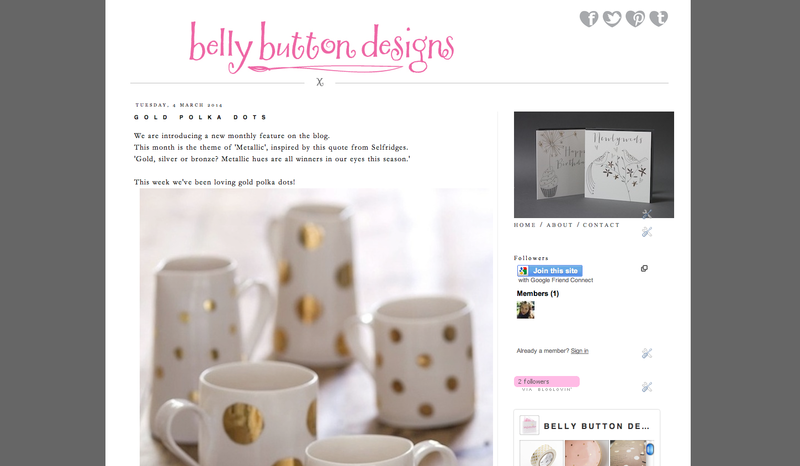 The Belly Button blog has had a little refresh for 2014! You can now follow us on 'GFC' and also on 'Bloglovin' where you will get an update whenever we upload new posts! Spotted on Print and Pattern! The art of Metallic pens!